On the black screen, or on the “dial” is the lettering “Hermes Paris” at the 12 o’clock position to see. 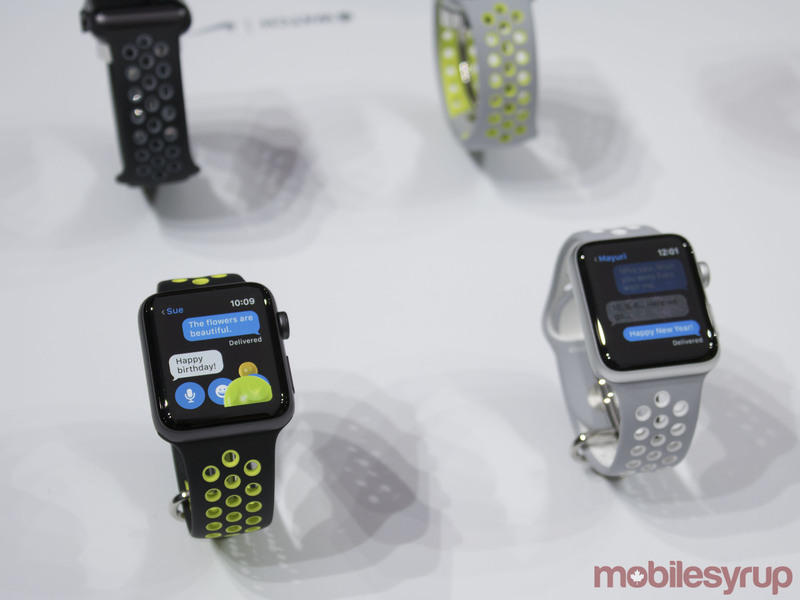 Technically, the Apple Watch Hermes offers no new features. 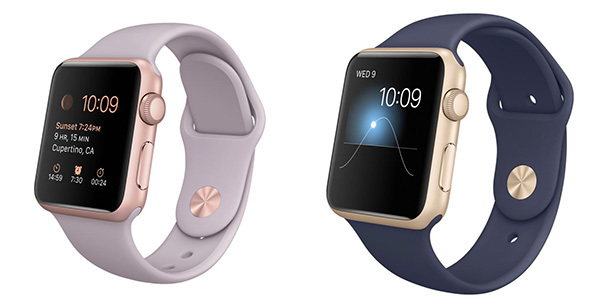 That Apple with its Apple Watch will attract not only technology nerds, but also luxury customers, already proved the Edition collection with housings made of real gold. 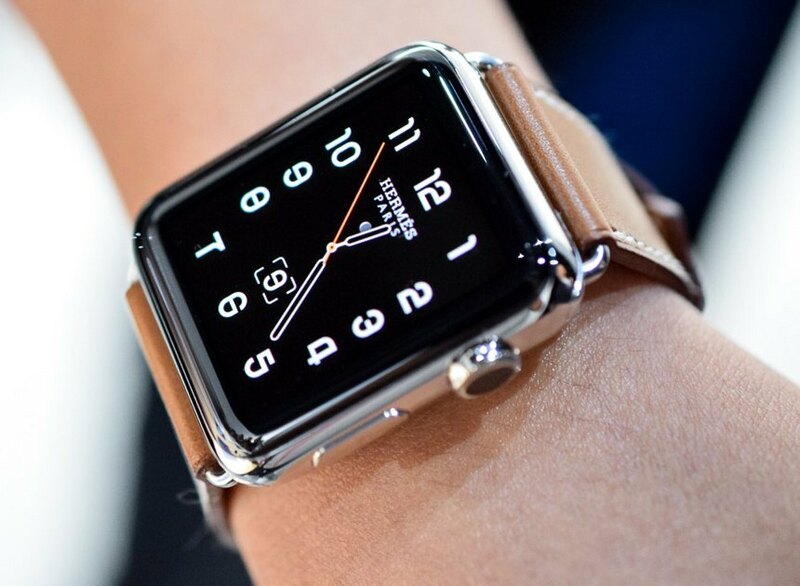 Now cooperates the American brand with a French company that is like no other for expensive handbags: Hermes.Result is the new Apple Watch Hermes, which boasts some highlights for lovers of Parisian manufacture of leather. 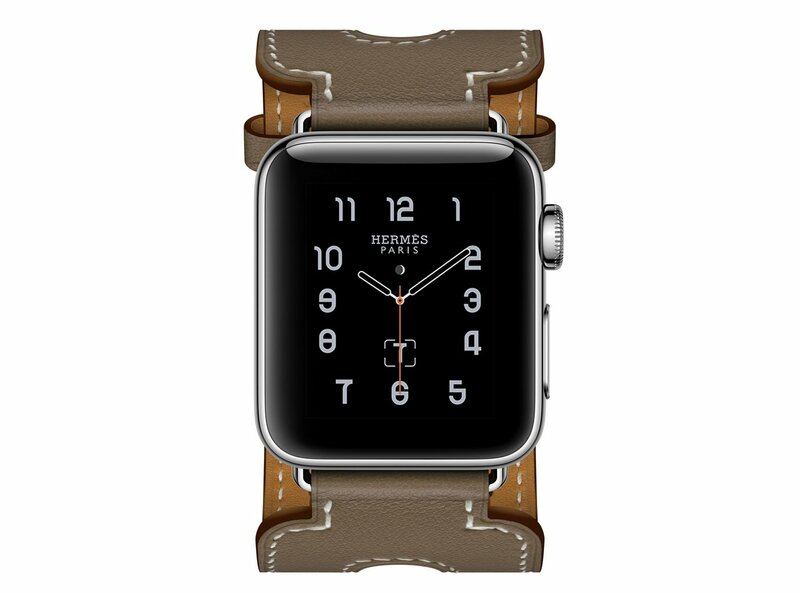 The new Apple Watch Hermes is based on the simple Apple Watch with stainless steel case, which is available from around 650 euro. 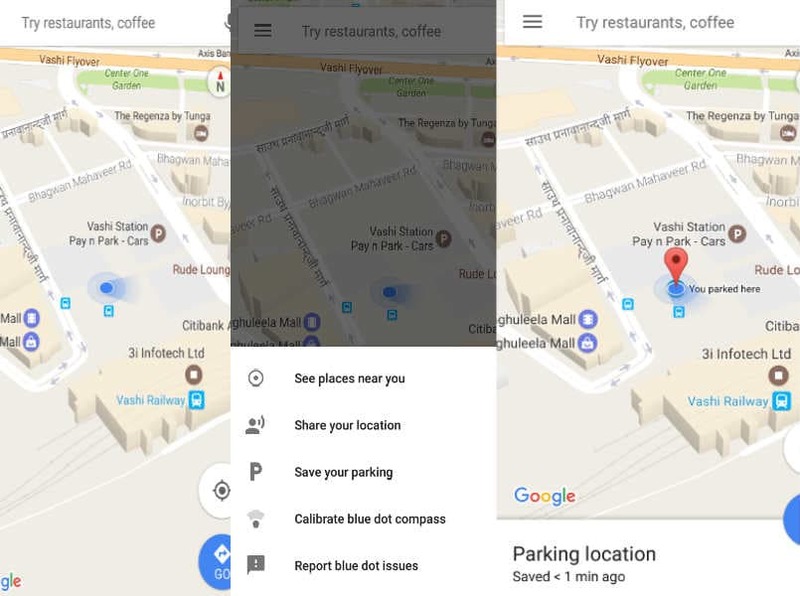 Technically, it offers no new features so, visually however it significantly stands out from the other models and offers more luxury flair and give potential – this is reflected also in the least dopelt so high purchase price. 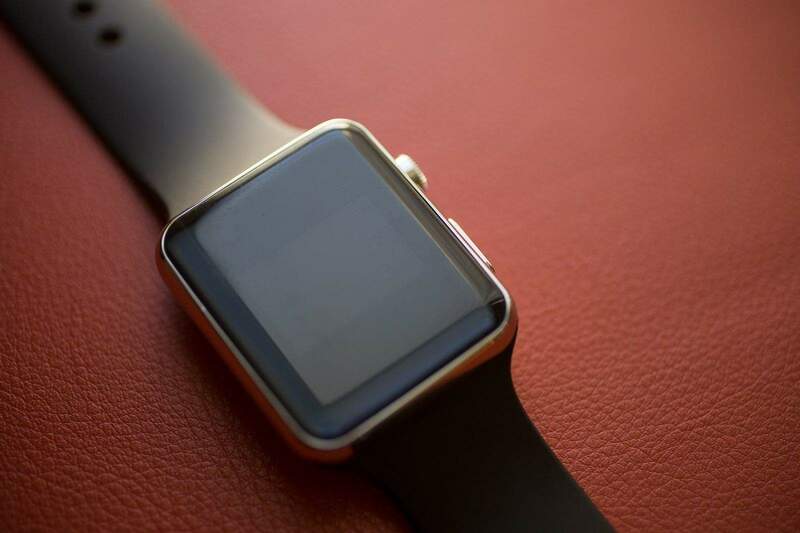 The Apple Watch to be something like the Birkin Bag for the wrist. 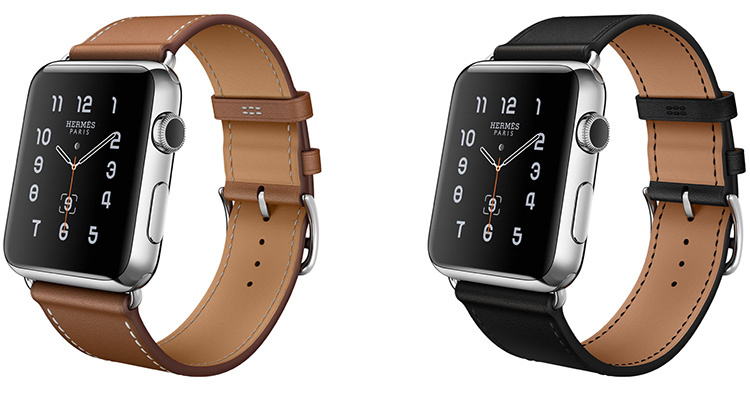 Three variants of the Apple Watch Hermes will be available from October 2015 selected Apple retail stores (in Berlin). 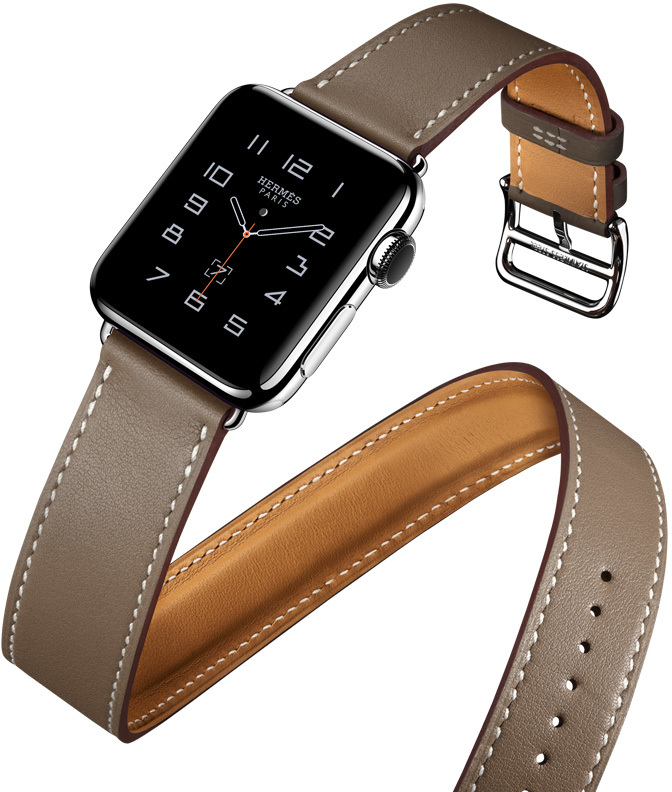 Apple Watch Hermes “Double Tour” offers an extra long, hand-made Hermes leather strap that goes twice around the wrist. 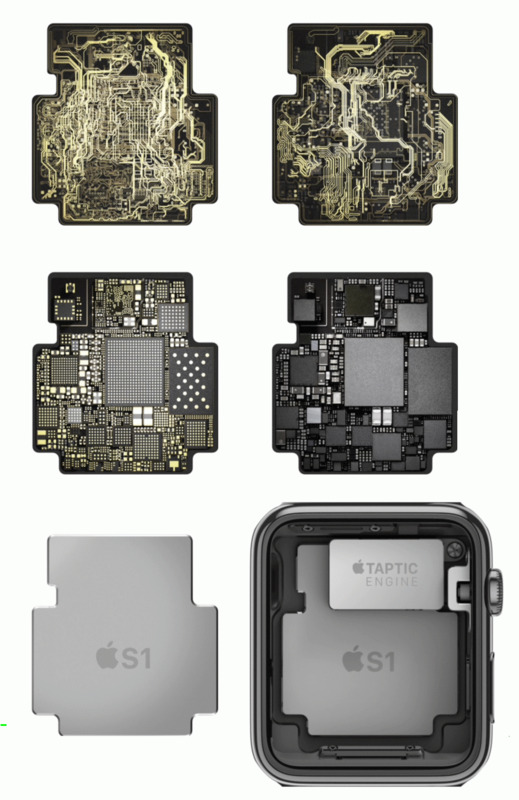 The rectangular case is made of stainless steel and is 38 mm long. On the black screen or on the “dial” the watch is the white lettering “Hermes Paris” at the 12 o’clock position to see. The bracelet of “double tour” is in addition to classic Brown (called “Fauve”) also in “Etain” (anthracite), “Capucine” (red) and “Blue Jean” (blue) available. 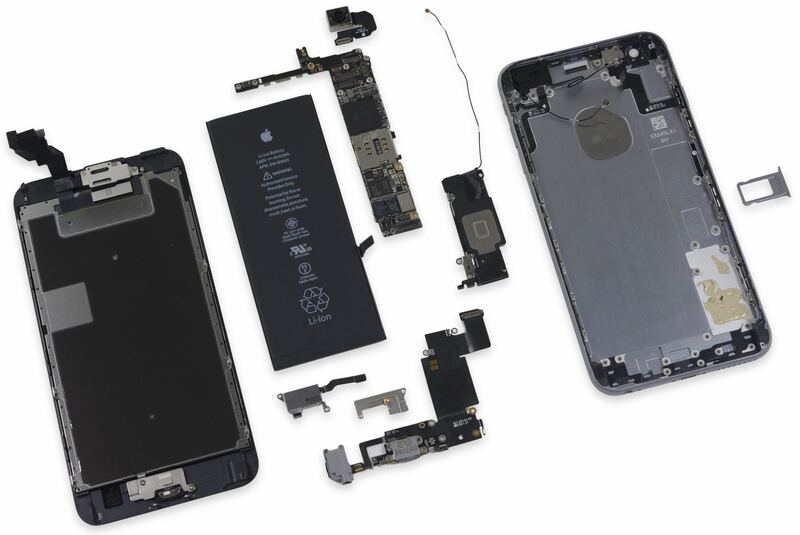 Price: 1450 euro. The “single tour” classic looks with her only once around the wrist strap. 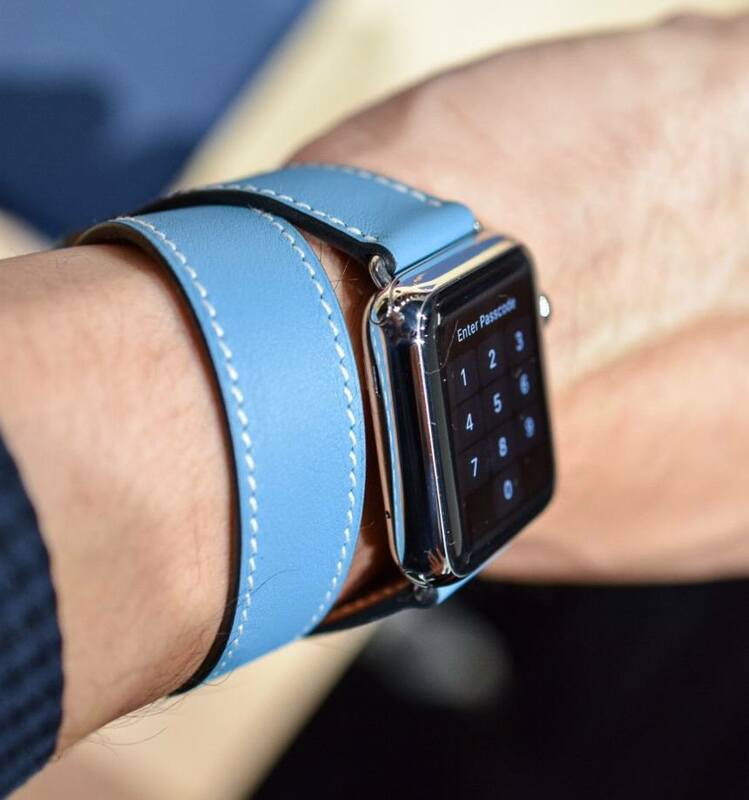 This variant of the Apple Watch Hermes is available with 38 mm and 42 mm stainless steel housings and Hermesleather bracelets in Fauve or noir (black). 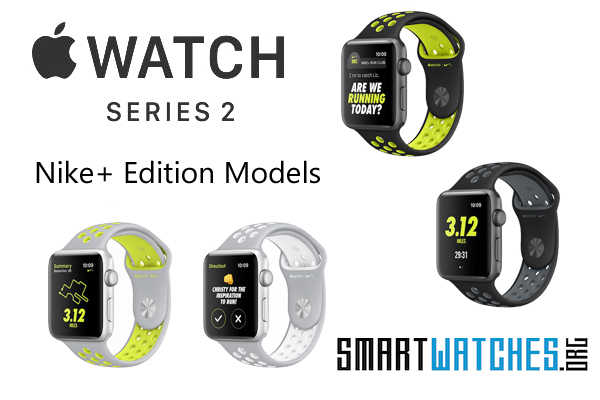 The 38 mm stainless steel case is also available with a bracelet in Capucine. In the 38-millimeter version the clock euros 1300, in the 42-millimeter version 1350 euro. 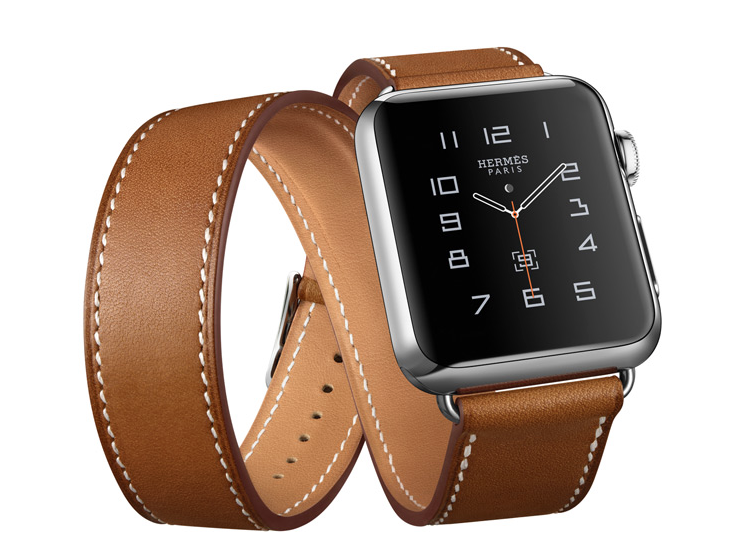 The Apple-watch version “Hermes cuff” seems almost been extravagant. Your bracelet is adorned with an additional, equestrian-inspired leather cuff to consciously remind of those protective tapes, carry the horses in jumping to the cuffs. 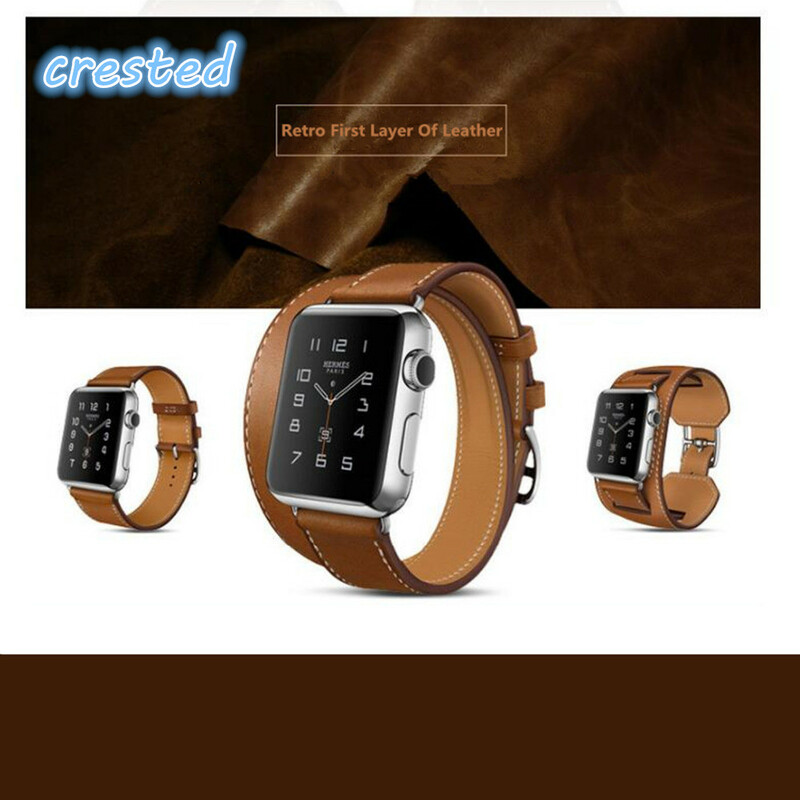 The leather cuff (also known as cuff) the Apple Watch Hermes “Cuff” is by the way so worked that the heart rate monitor keep in touch with the wrist remains. 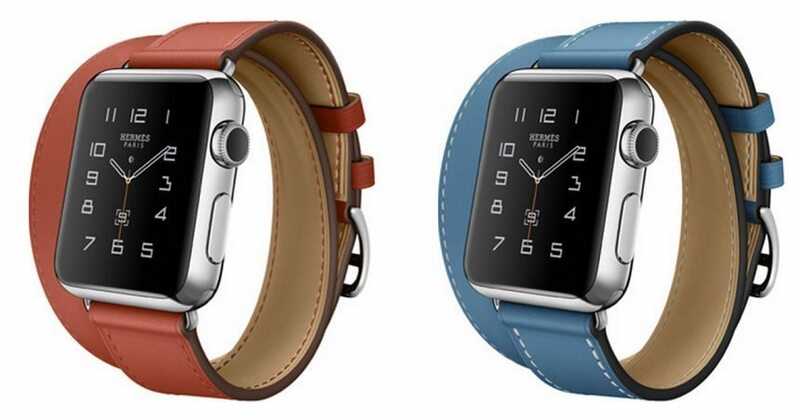 There are them with 42 mm stainless steel case and a Hermes leather bracelet in Fauve. Price: 1750 euro. 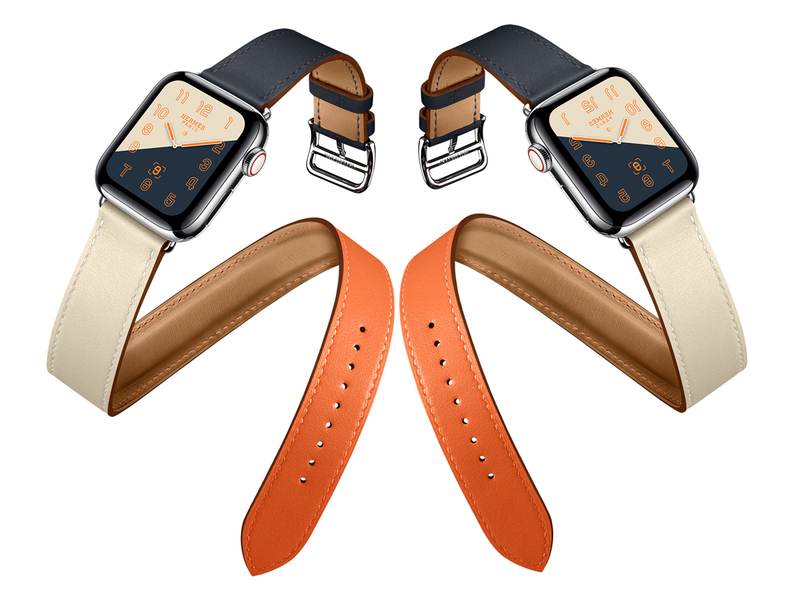 The new Apple Watch Hermes in noble boxes in Hermes-orange with dark brown Hermes logo is packed – making here neatly what, for example under the Christmas tree. 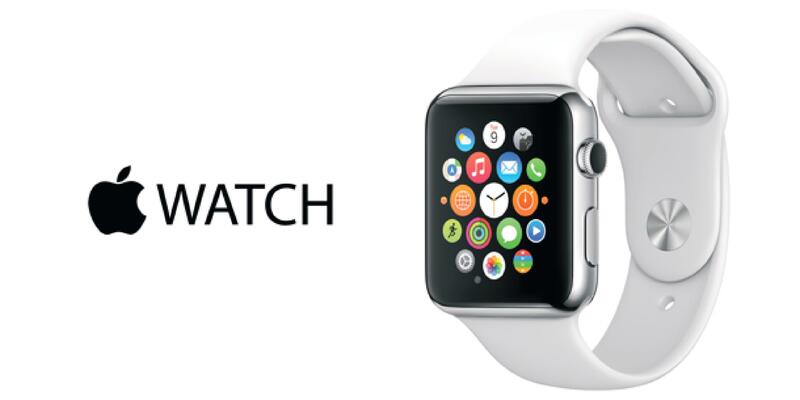 Apple Watch Hermes will be available at selected Apple retail stores and at THEELITESWATCHES.